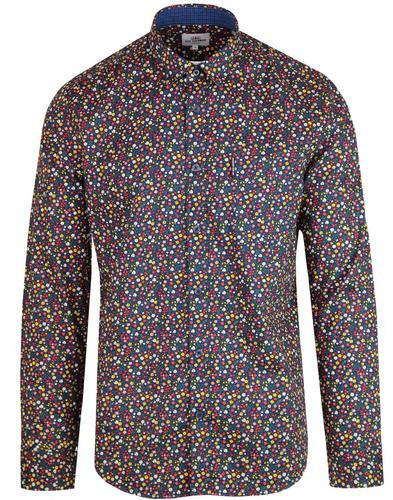 Retro stripe long sleeved shirt in mustard from Pretty Green. 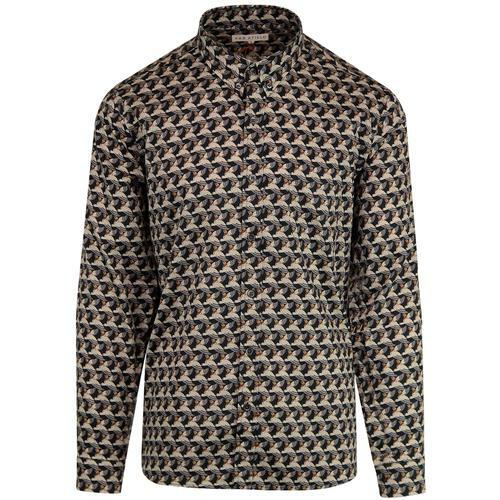 This slim fit stripe shirt is a fabulous addition to your retro wardrobe. 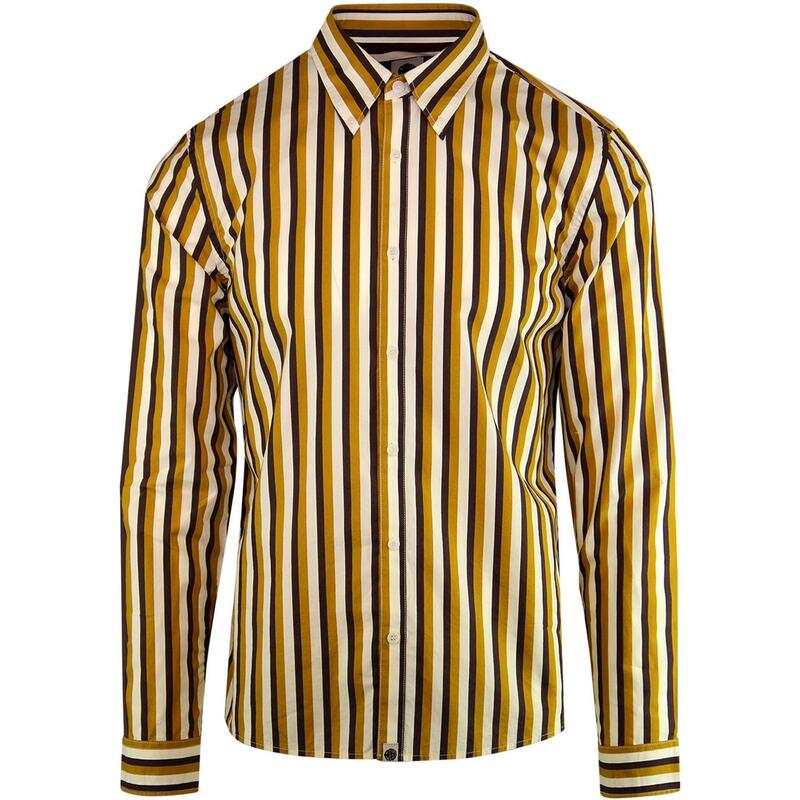 This shirt has all-over mustard, brown, and cream stripes and a button-down collar that adds sophistication. 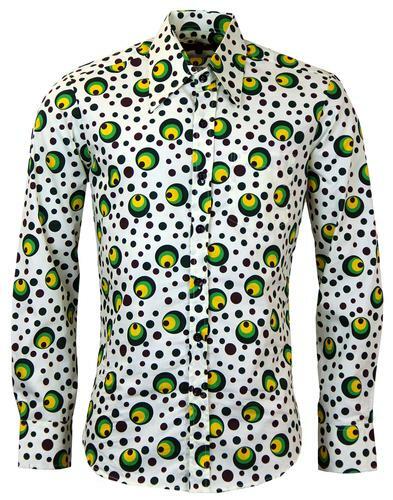 The long sleeves are perfect for both a smart and classic look and the Pretty Green signature mother of pearl buttons and tab at the bottom are little extra touches that really finish off the garment with style. 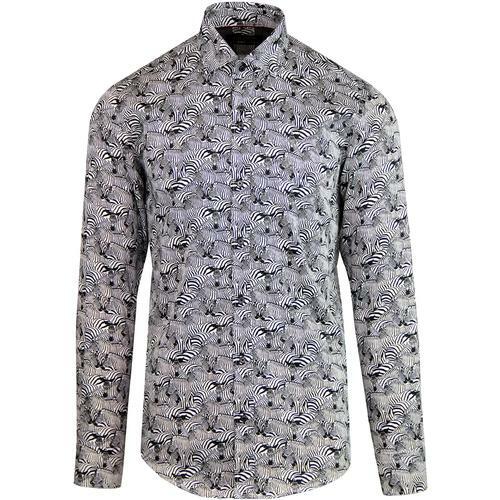 Pair with your favourite jeans and add a scooter for an instant and classic Mod look. 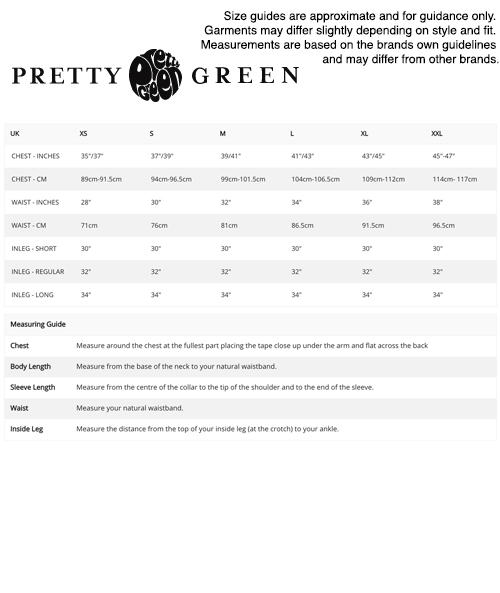 Slim fit retro striped Mod shirt in mustard from Pretty Green. Mustard, brown and cream all-over stripes.